I pass some beautiful rose bushes on my way to and from the station each day. I tried to snap this in the morning but the light was too harsh and made it look almost orange. 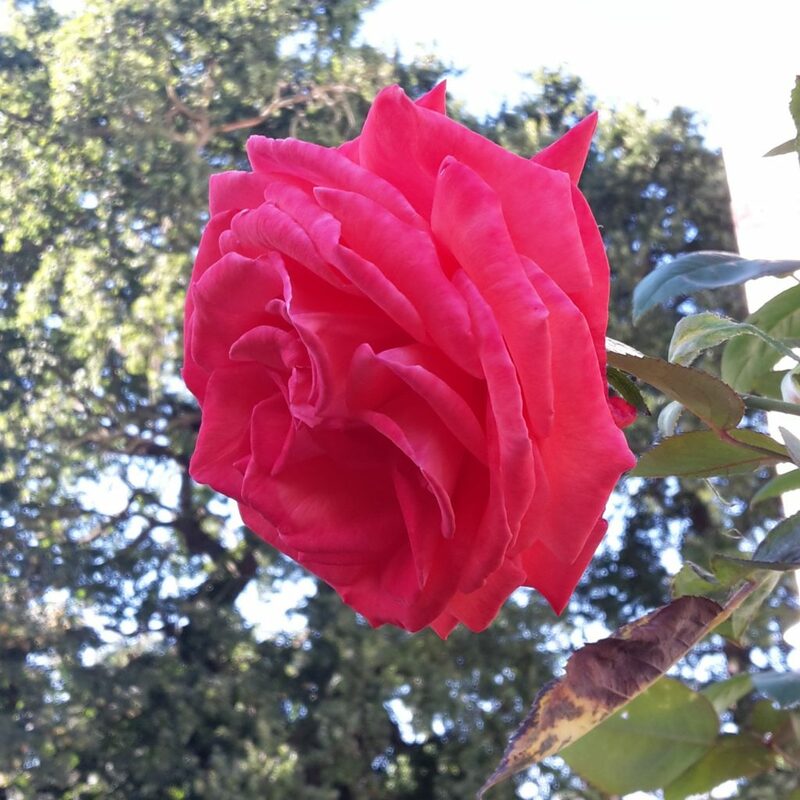 When I came home, the roses were in shadow and one quick phone picture was all that was needed.